Can you smell spring? The surroundings are lush and the blossoms are coming out, the scent of spring hangs in the air. The arrival of spring makes for the perfect time to update your house or flat with beautiful pieces. Accessories, art and flowers can bring your room into life, but make sure that you leave space around objects. AMBER MUSK D'OR - Plush notes of Magnolia Leaves splashed with Coconut Water take you to a heart of delicate Muguet and Rose Centifolia Absolute. A Luminous Oud Accord, Golden Ambrox, and a Rich Amber Accord add power, sensuality and dark opulence. The warmth of Sandalwood, Praline, Musk, Benzoin and Incense lingers. Aerin Lauder started her cosmetic & fragrance brand under her own name and the Estée Lauder umbrella in 2012. 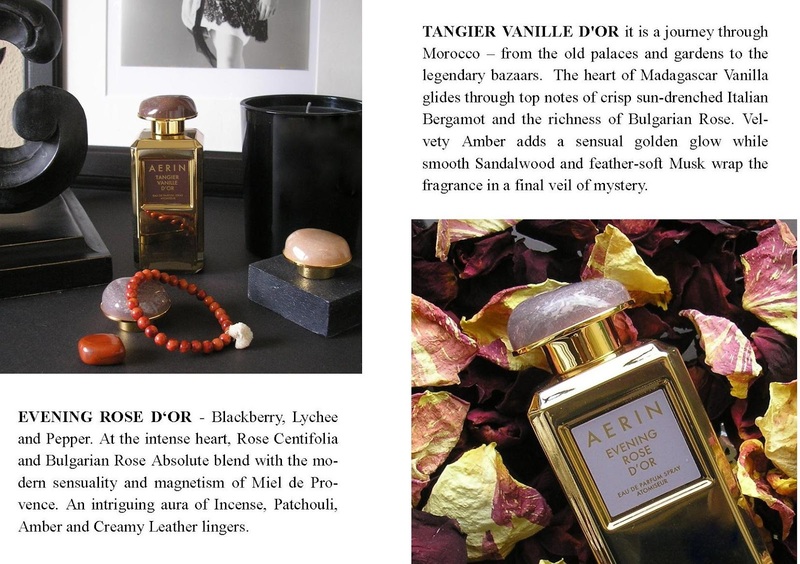 The perfumes are always very well blended and wearable, with suggestive names and in a winsome design.